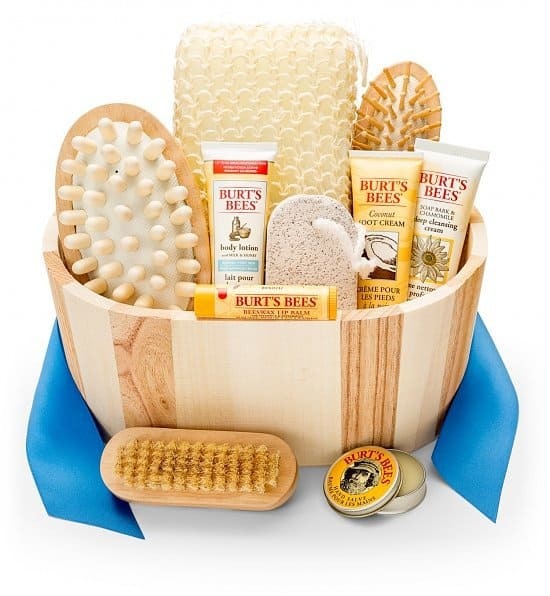 Looking for Mother’s Day gifts for Grandma under $50? 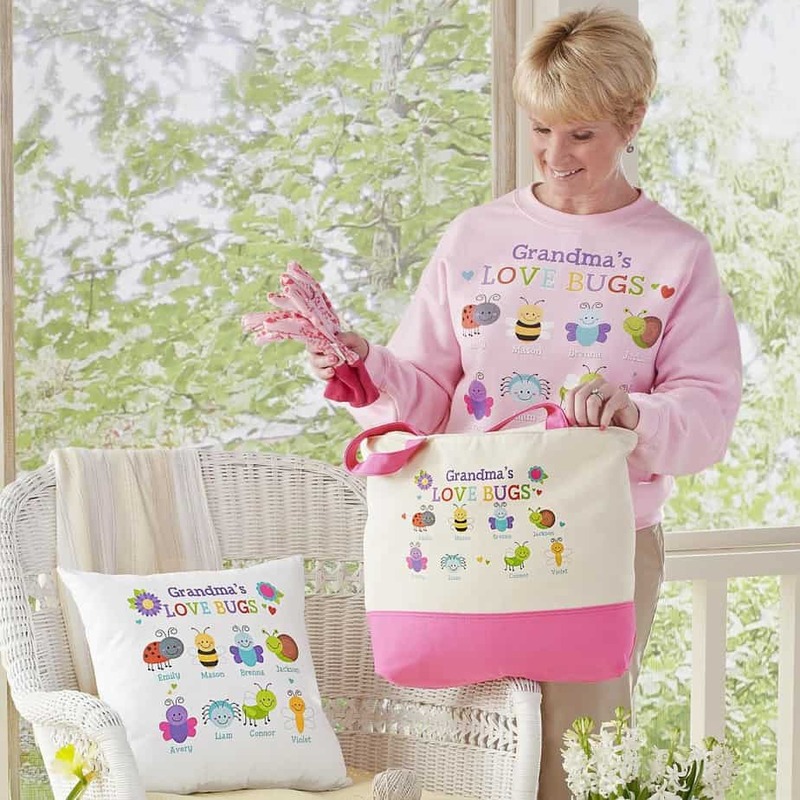 No need to spend a fortune to get a fabulous gift -these memorable Mother’s Day gifts for Grandma under $50 are sure to delight your grandmother. Looking for the perfect gift for the woman who's a bit stressed-out? 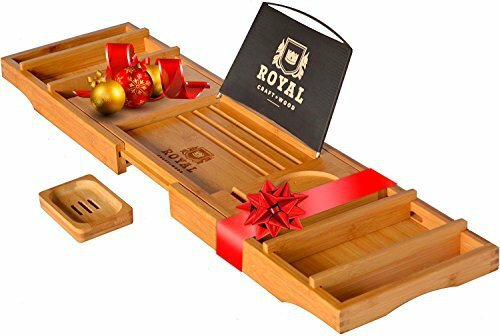 Help her relax in style with this luxurious bath caddy that features the perfect holders for her iPad (or book), wine glass, and toiletries. 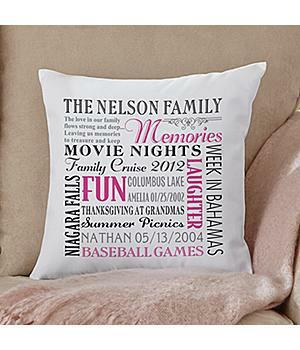 Striking cotton canvas pillow tells the story of your family's unique place in time with up to 5 colorful dates. 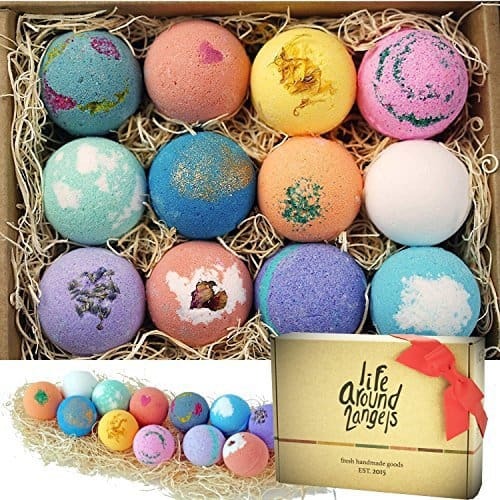 Pamper someone special with this delightful set of handmade bath bombs! Add a personalized ribbon for a special touch. 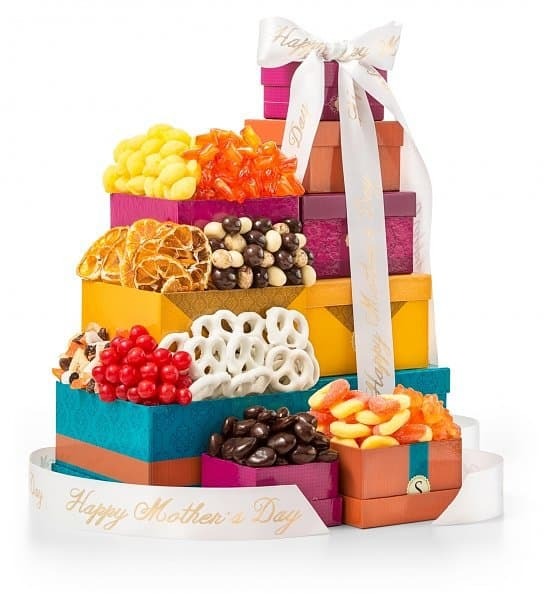 Make Mother’s Day extra sweet with this vibrant gift tower that features 5 gift boxes filled to the brim with gourmet sweets. 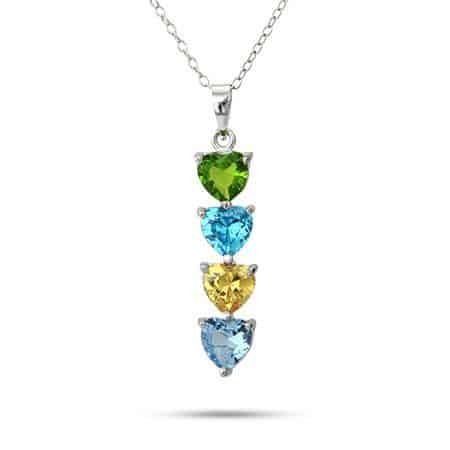 Delight Mom, Grandma or your wife with this simple but elegant birthstone necklace. Perfect for everyday wear or for dressier occasions. 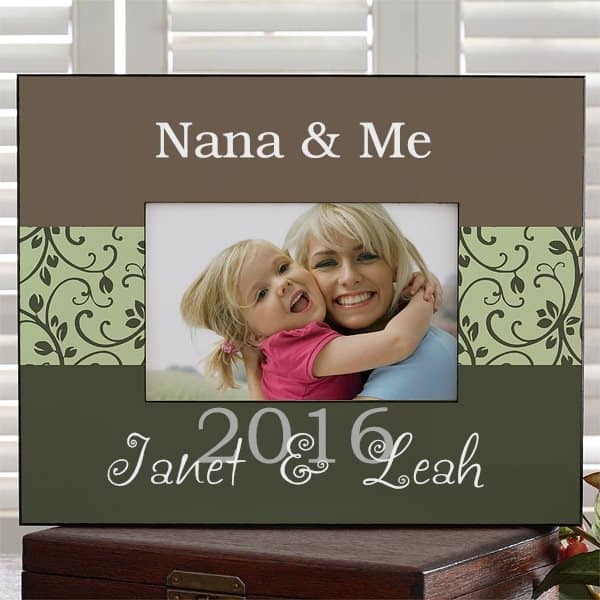 Fill this lovely personalized frame with a favorite picture to create a sure-to-please gift anytime. 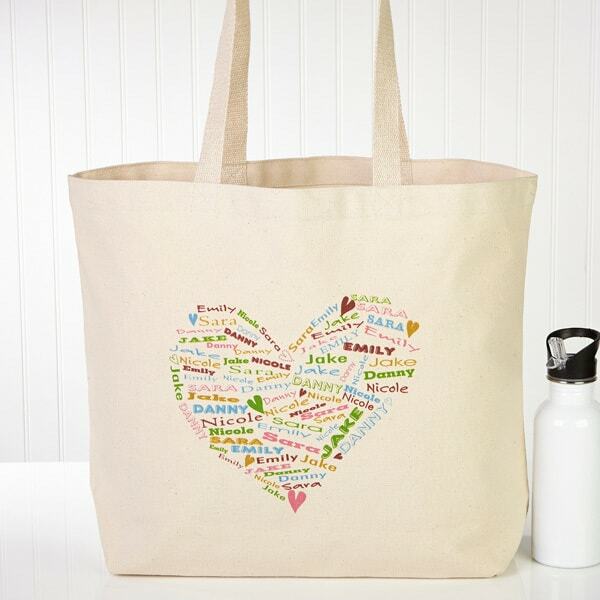 Available in 4 color schemes, you can add any 3 lines of personalization. 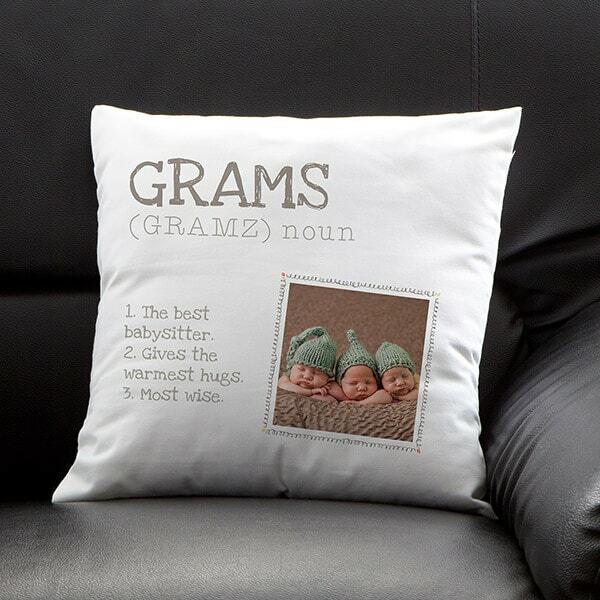 Perfect for Mother’s Day, birthday, or for the new grandma! 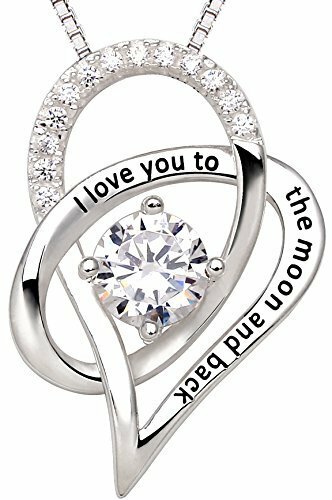 A fashionable way to let someone special know just how much you love them! 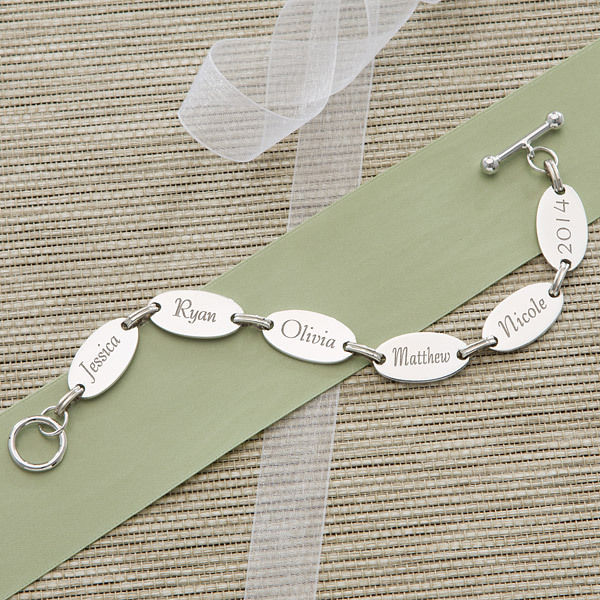 Mothers and grandmothers will cherish our exquisite, personalized bracelet. The name of each child is artfully engraved in script lettering on the individual oval discs. If you choose, have any year or endearing words engraved. 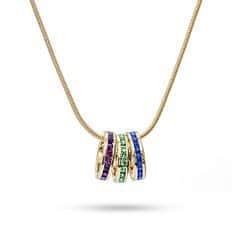 Create a special gift of heirloom jewelry that celebrates Family Connections. 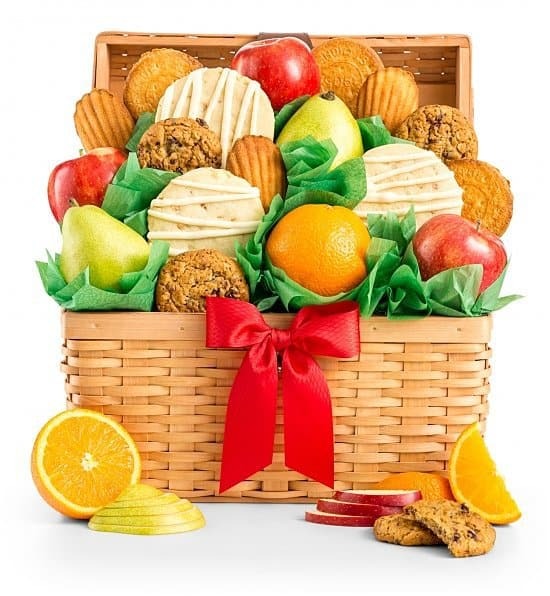 The perfect balance of health and indulgence this signature gift combines the healthy satisfaction of ripe fruit with delicious cookies and savory snacks. Her heart will be full of love with this exclusive Her Heart of Love Personalized Cookie Jar! 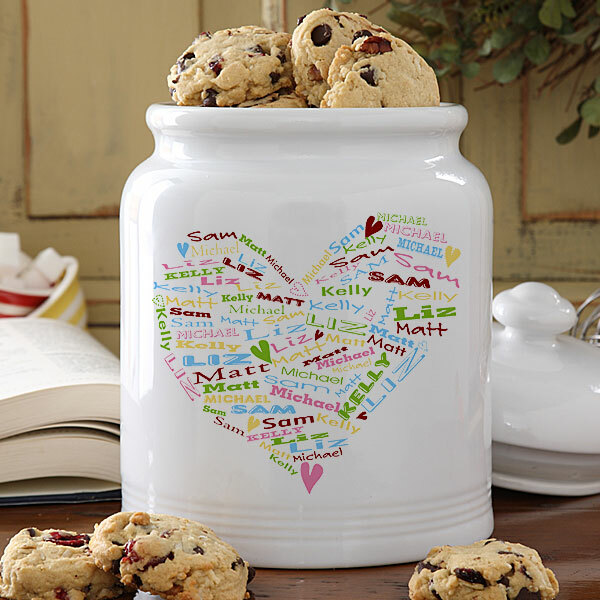 Custom made, this white cookie jar is artfully designed with a heart that is made up of any names you choose – up to 8 names. 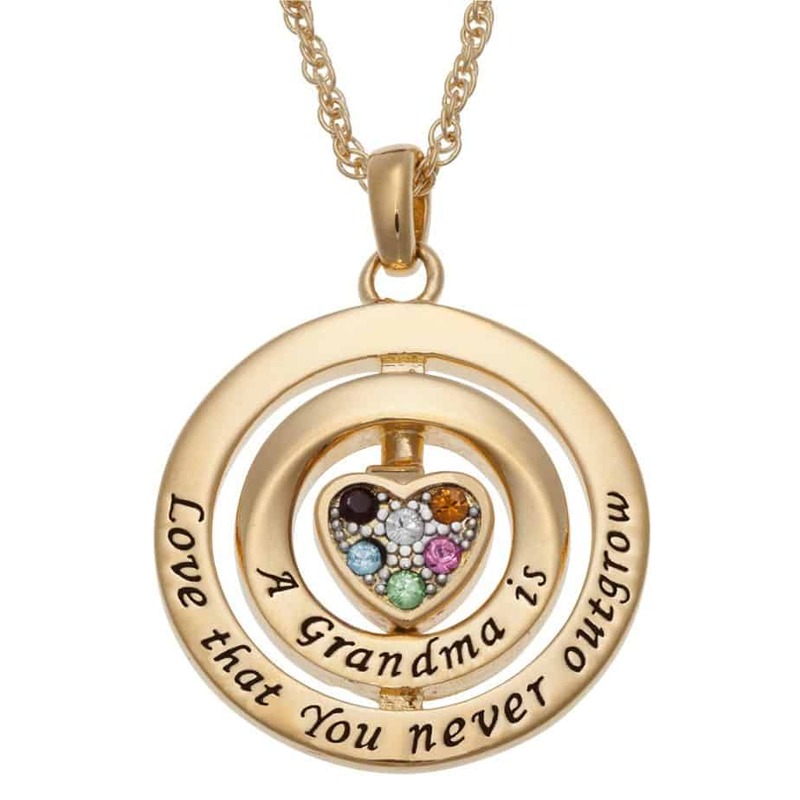 Mom, Grandma or your wife will be thrilled with this dazzling reminder of the love she carries for her family! 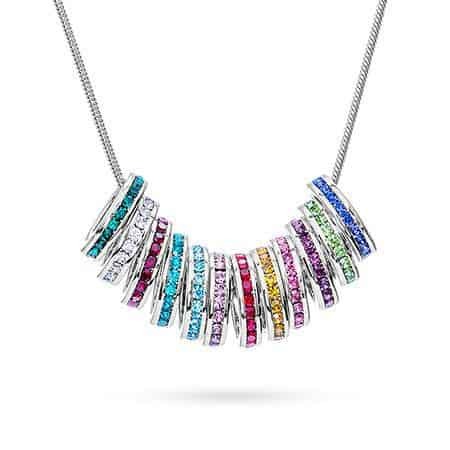 Build a customized necklace by adding a sparkling birthstone charm to represent each of her loved ones (up to 14). 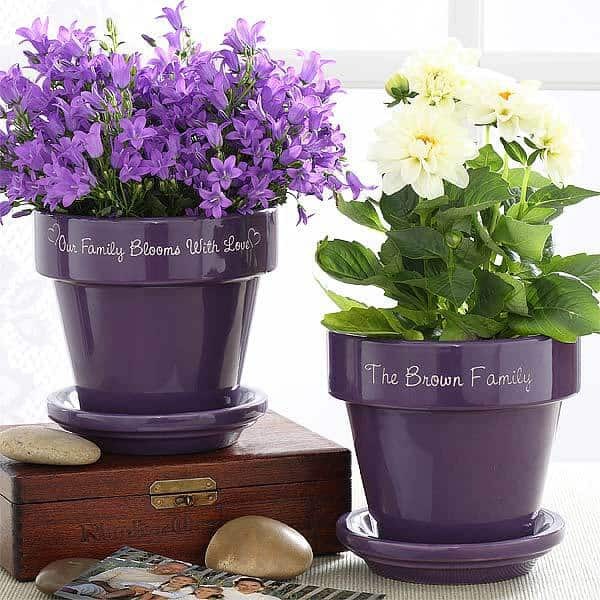 Showcase a blooming plant in this lovely personalized flower pot. 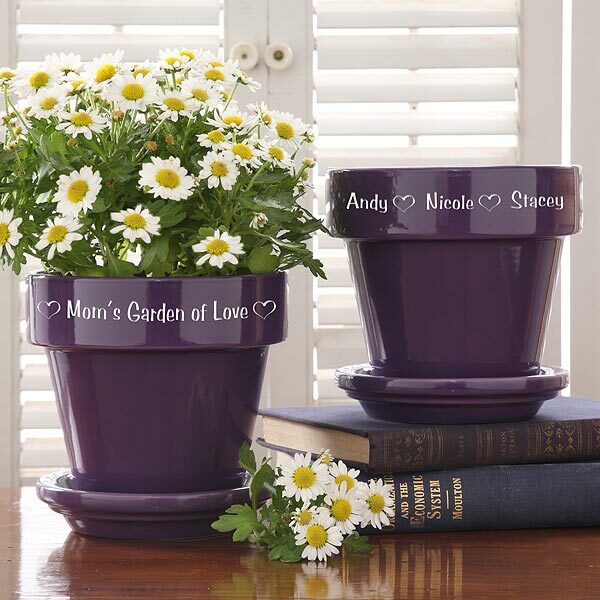 Bright purple or red ceramic flower pot will be delicately personalized with any special title you choose on the front surrounded by our precious heart design. Add up to 5 names, each separated by a heart. 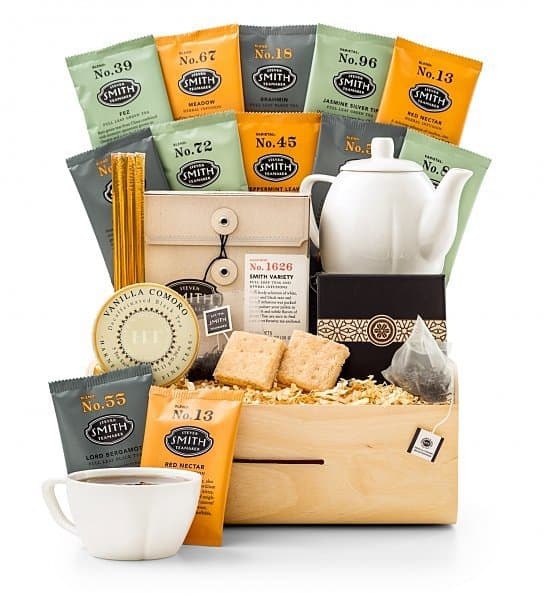 Pamper someone special with this delightful tea gift basket that includes a teapot set for one. Enjoy the therapeutic benefits of aromatherapy with this striking essential oil diffuser set! 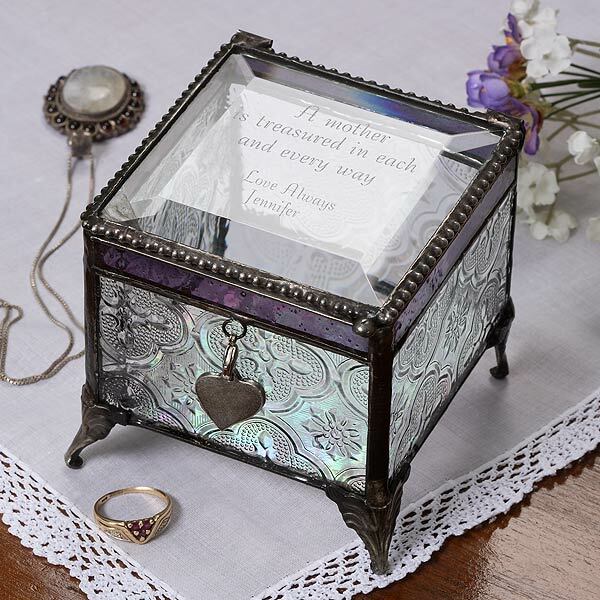 Let a treasured friend, Mom, or special lady know how much they mean to you with this exquisite Vintage Jewelry Box personalized for her alone! You choose any 3-line message along with any 2-line ending sentiment, date, etc. 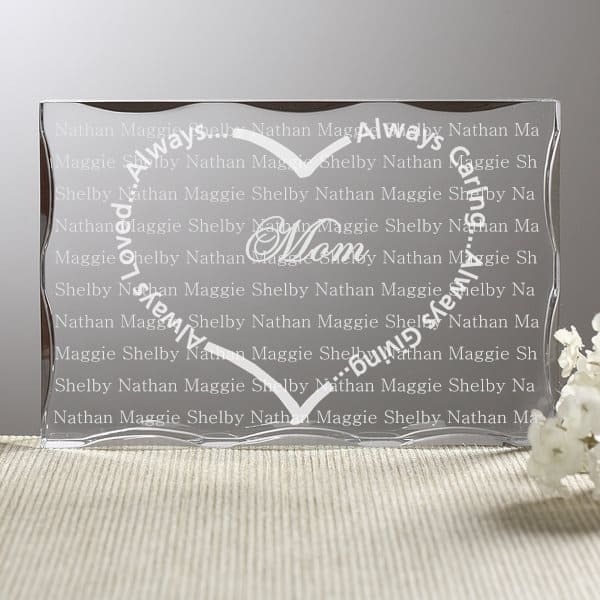 and we will custom engrave your sentiments onto the glass lid in an elegant, script letter style. 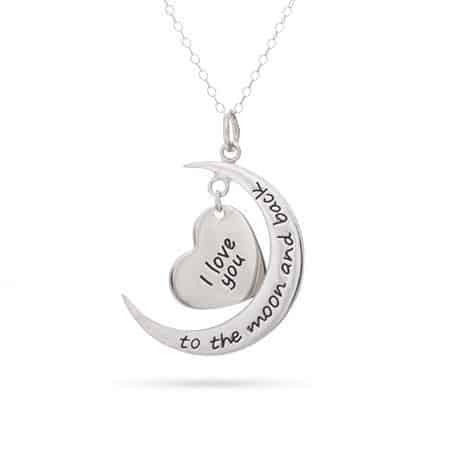 Sweet “I love you to the moon and back necklace” can be engraved on the back with names or another message. Lovely first Mother’s Day gift, or gift for any special lady! Available in sterling silver, yellow gold or rose gold. 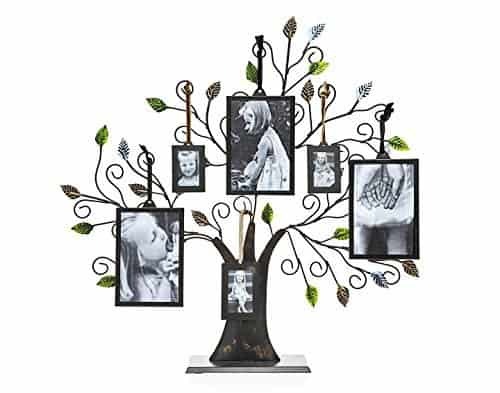 In addition to the included text, “Love, Good Times and Memories,” you can choose up to 8 lines of heartfelt memoirs that are unique to your family. Limited only by your imagination, you can include the address of your first home together, a favorite vacation spot, family hobbies and more. 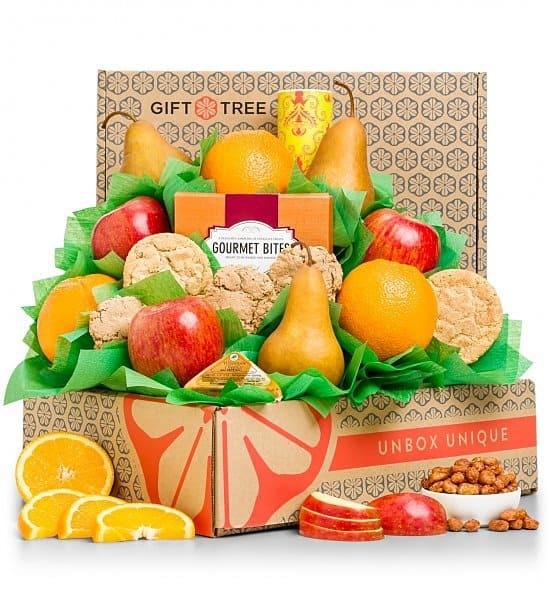 Healthy and satisfying, this best-selling gift combines crisp Bosc Pears, ripe Fuji Apples and California Navel Oranges with a rich pairing of indulgent sweets including Seattle Chocolates and gourmet cookies. 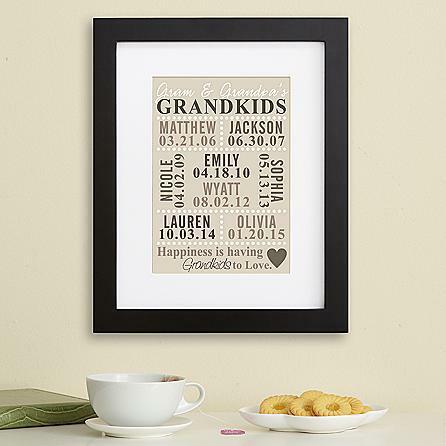 Grandparents will cherish this precious artwork, filled with love and their favorite grandkids’ birthdates. 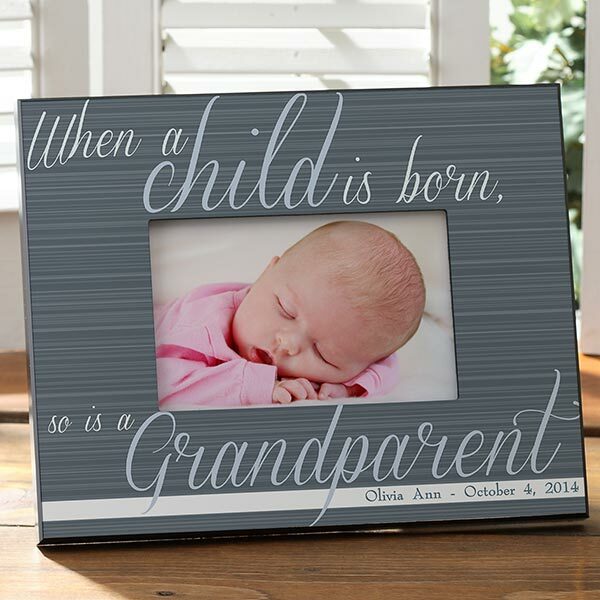 Personalize with any title (Nana, Papa & Mimi, etc) and up to 12 grandkids names and birthdates. 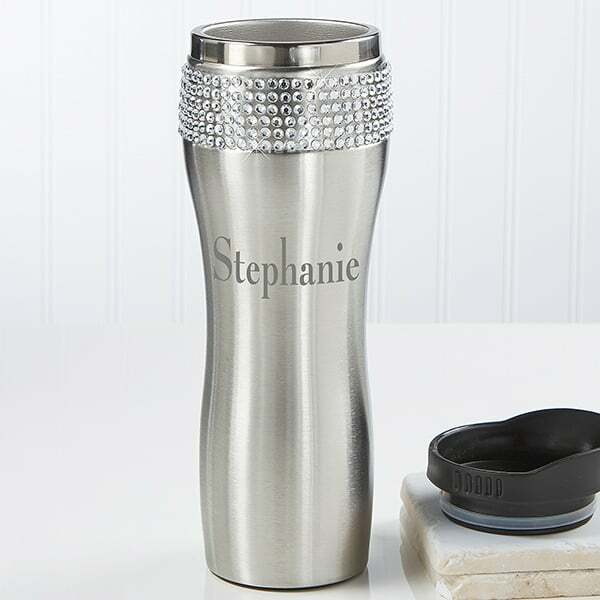 Our Glitz and Glam Personalized Stainless Steel Tumbler is the perfect way to keep your beverages hot or cold. They are easy to carry, practical and fun to use! Bands of rhinestones are displayed at the top of the tumbler. Below the rhinestones we will custom personalize this stylish tumbler with any name or any single, 2 or 3 initial monogram in your choice of a curly or block font style. Also available in silver – Click Here to see necklace in silver. 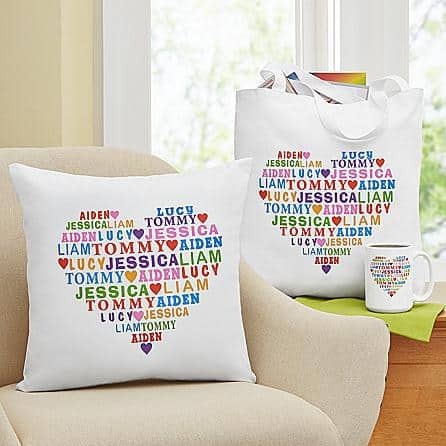 Brighten Grandma’s or Mom’s house with a bright and cheerful personalized pillow with all their loved ones names. Each heart contains up to 12 names (or other words). Choose from pillow, mug, tote or treat jar. A bright and cheerful way to welcome family and friends to your house! 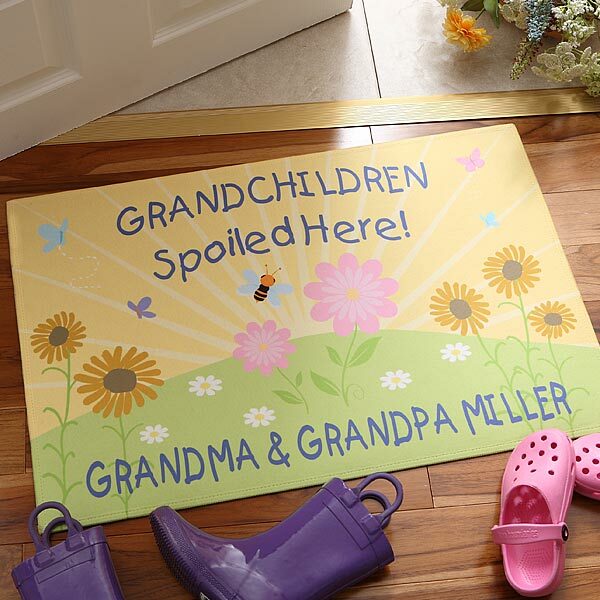 Personalize this fun doormat with any 2 lines at the top, and 1 line at the bottom. Create a pathway of love for Mom or Grandma! 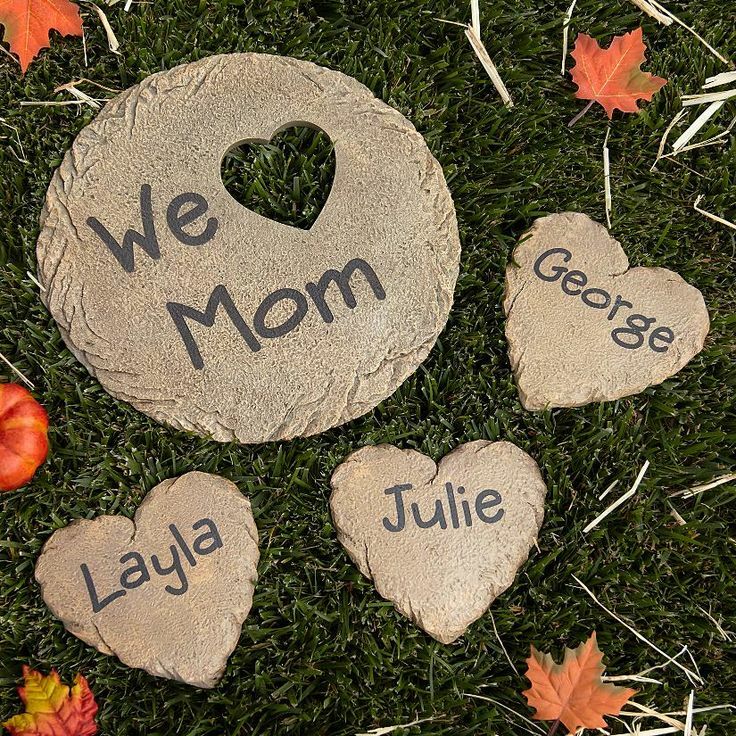 Whether placed on a favorite pathway or in a garden sanctuary, our stepping stones are sure to bring a smile to your loved one’s face. Create a personalized walkway of love! 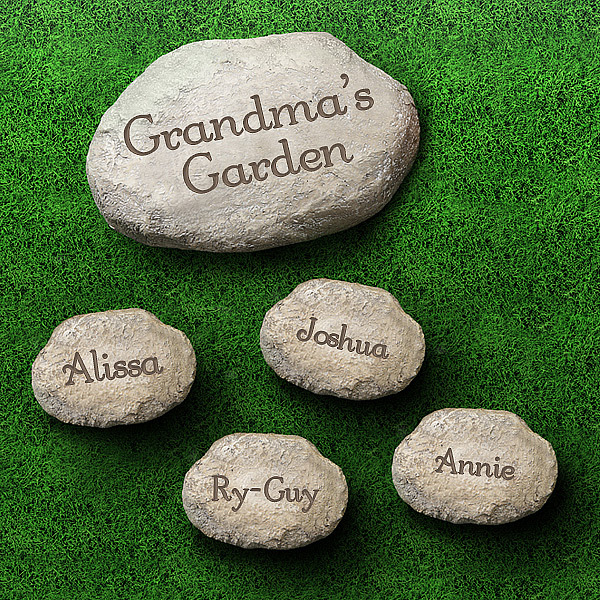 Whether placed on a pathway or in a garden retreat, our garden stones are sure to bring joy to your families heart. We artfully engrave the front with any family name or first names to give your special pathway or garden that personalized touch or create a family walkway with individual stones for each member. Delight Grandma with a sentimental plaque that describes her grandchild's love for her! Personalize the bottom of this touching poem with your own 25 character message. Lovely Personalized Photo Plaque makes an adorable tribute to Mom who plays the real hero in their young lives each and every day! 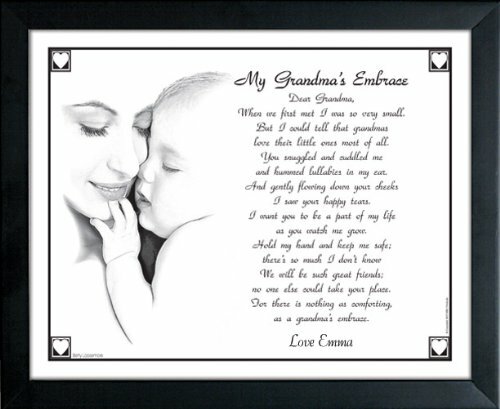 On one side, a heartwarming poem about how special she really is, beautifully printed on our personalized photo plaque. On the other side, a precious photo of her little sweetheart(s) will be printed within our fun flower design. Choose from 3 color options and add any title. Silver-plated key ring features a twist open clasp. 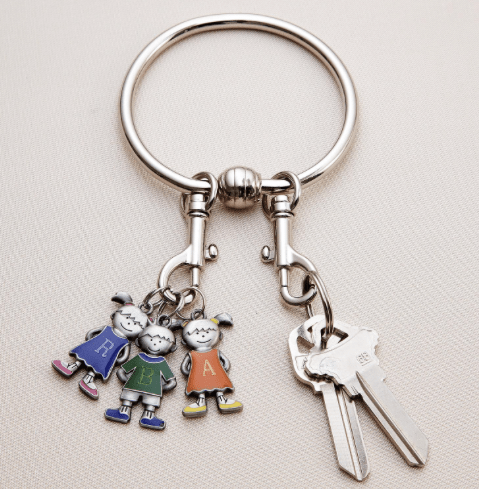 Add up to 6 cute boy or girl charms, each engraved with any single initial. 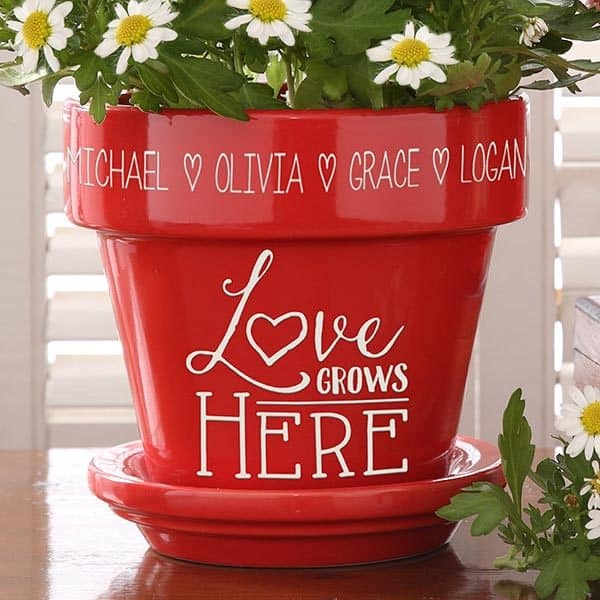 Durable and weather resistant, our Love Grows Here Personalized Flower Pot is custom engraved with the names of her kids or grandkids featured above a lovely design of “Love Grows Here” custom engraved on the bottom base. Our heartwarming keepsake features this lovely engraved verse in the shape of a heart, with any title engraved in the center. Perfect for your Grandma, Aunt, Mom, or any special lady. 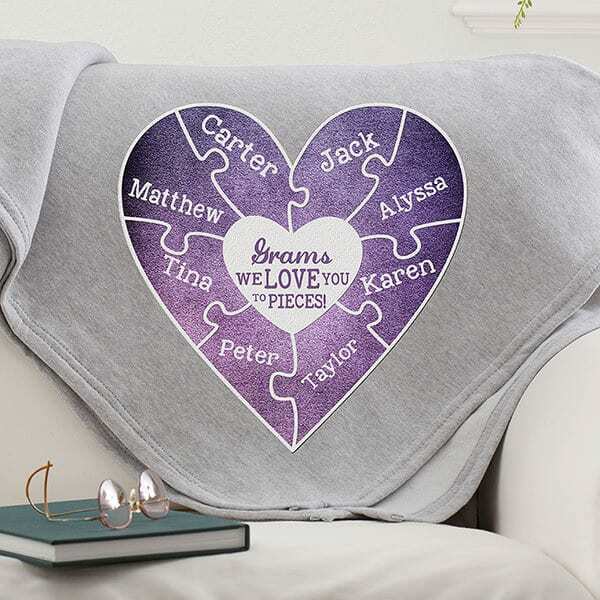 For an impressive and memorable touch, we personalize the back side of the block with first name(s) of each child or grandchild in our exclusive, unique repeat pattern throughout the entire keepsake surface. Here are some sweet little bugs she really won’t mind seeing in her home. Personalize with any title at the top, and then add up to 12 children's or grandchildren's names, each represented by a cute insect character. Choose between a mug, treat jar, platter, sweatshirt, apron, pillow, or tote bag. Her heart will be full of love with our exclusive Her Heart of Love Personalized Coffee Mug designed exclusively for that special lady. 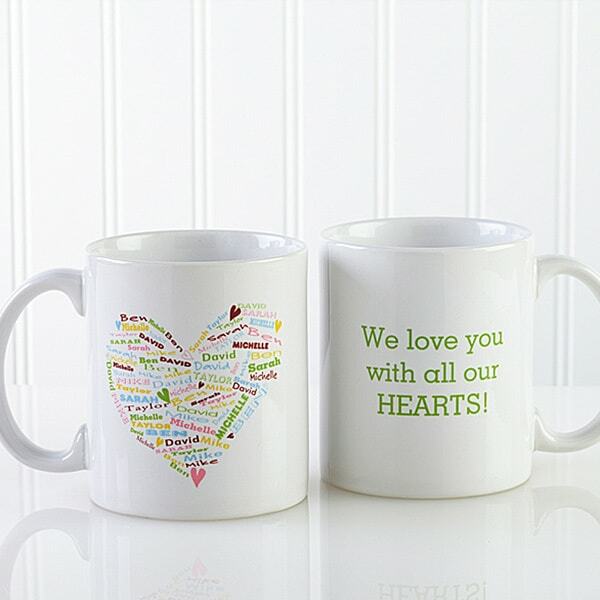 The front of the mug features a heart that is made up of the colorful names you choose – up to 8 names can be included! The back of the mug features any 3 lines of personalization. 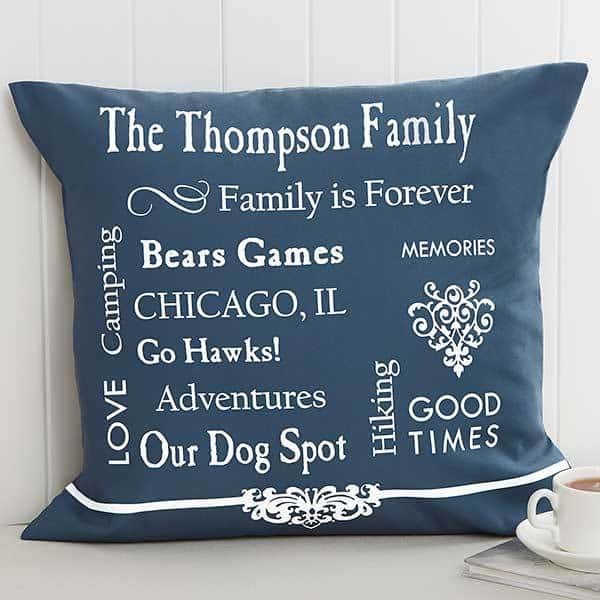 From a fun vacation to a special song, use your favorite memories to create this one-of-a-kind pillow the whole family will cherish. 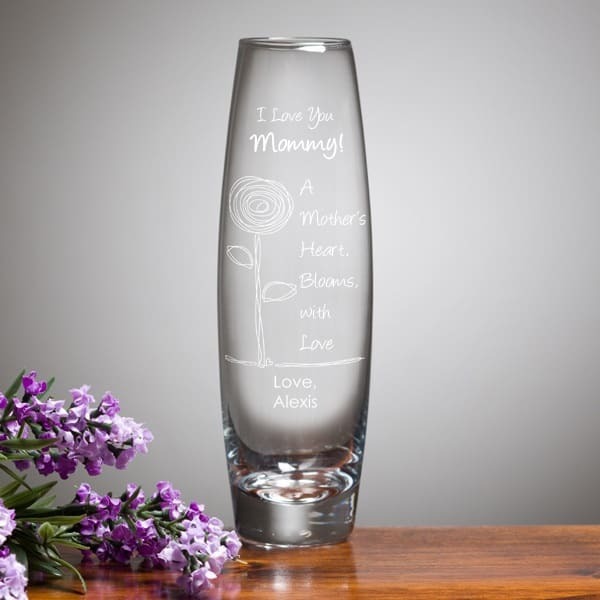 Sweet personalized vase makes Mother's Day flowers even more special! This keepsake vase can be personalized with your own loving message (or you can choose from 8 quotes)…just add her favorite flower for a beautiful gift! There's bound to be loads of pictures whenever a baby is born! 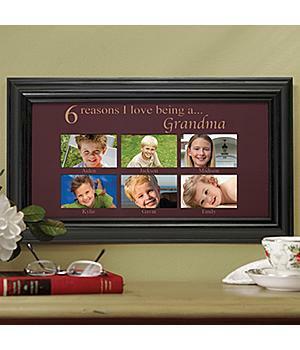 This is the perfect frame for the proud new Grandma to display a favorite photo in. 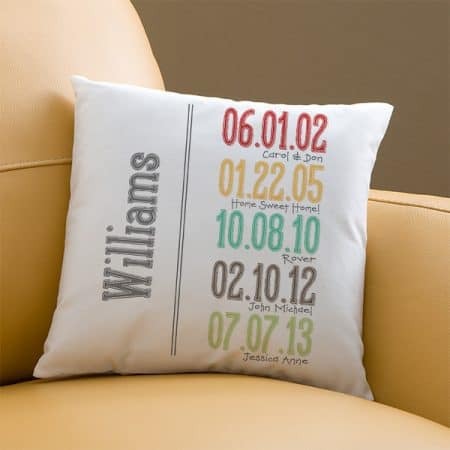 Personalize with the baby's name and birthdate. Available in 4 different colors. 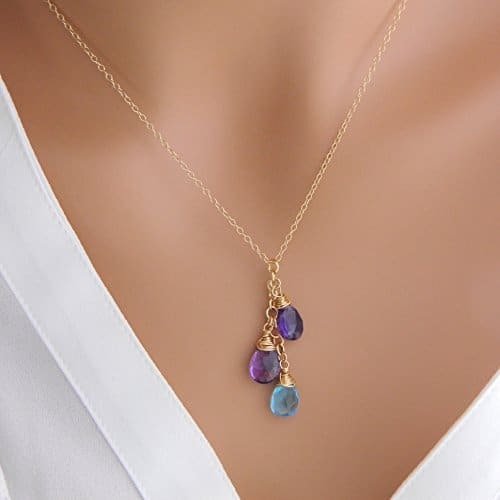 Simple but lovely, this adorable necklace features up to 4 heart-shaped birthstones of those you love most. 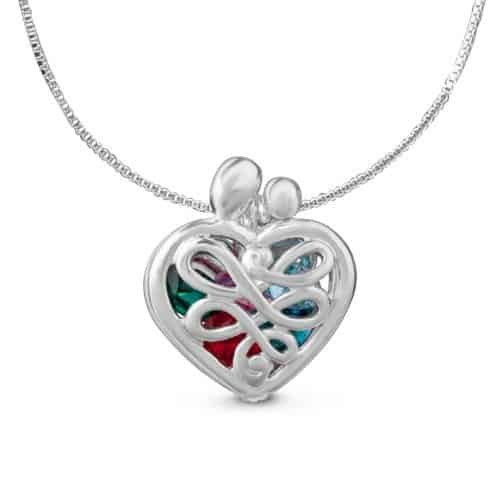 Available in your choice of sterling silver or gold plated sterling silver. 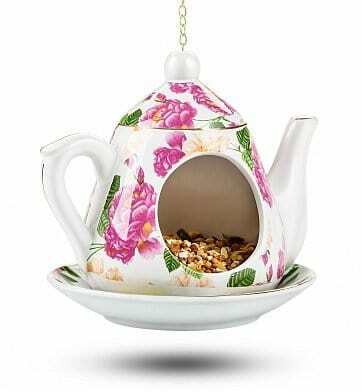 This charming ceramic teapot bird feed is a one-of-a-kind gift that combines the joy of bird watching with the love of tea. Beautifully painted teapot dangles gracefully from the attached sturdy chain. The clever saucer base provides the ideal resting spot for the birds to perch on as the feed from the teapot. Available in 4 delightful patterns, this gift is sure to bring hours of pleasure! 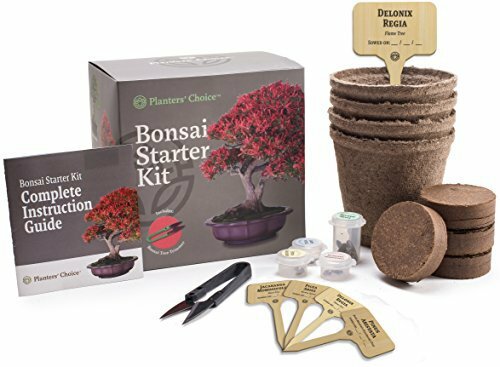 Unique, handsomely packaged gift contains everything you need to grow 4 bonsai trees. Fun DIY gift for the gardener – although you don't need a green thumb to be successful with this easy to grow trees! 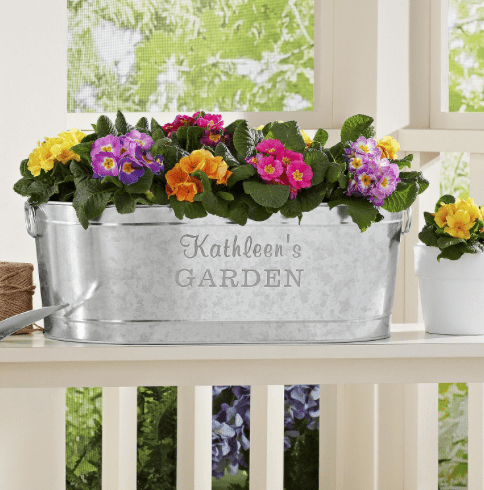 Creating a sensational floral display for a patio, porch or deck is fun and easy with our vintage-cool waterproof planter. No-rust galvanized metal tub can be personalized with any 2 line message.